Quite the contrary… Humans today suffer more chronic and debilitating diseases than ever before. And there can be little doubt that our food choices play a major role in this development. 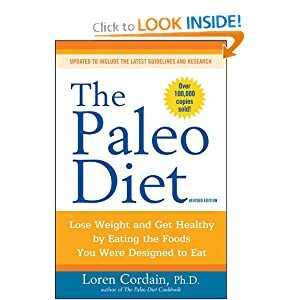 Based upon scientific research examining the types and quantities of foods our hunter-gatherer ancestors ate, the foundation of “The Paleo Diet” is lean meat, including ostrich and bison as well as organ meats, seafood, fresh fruit, and non-starchy vegetables — a far cry from the standard American diet. Today, these staples have been largely replaced with refined sugar, high fructose corn syrup, cereal, bread, potatoes, and pasteurized milk products. Most Americans eat a much narrower selection of fruits, vegetables, roots, and nuts, and in lesser quantities than our “cavemen” ancestors.